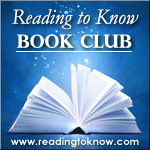 On this 1st day of November we will conclude October's selection for the Reading to Know Book Club. This past month we read The Picture of Dorian Gray , by Oscar Wilde. Rebekah from Bekahcubed is leading this month's discussion. Dorian Gray is youthful, handsome, innocent-looking. Even more than that, he is truly innocent--unaware of his own charm, gladly and carelessly delighting old women by playing piano duets with them, blissfully ignorant of his new artist friend's obsessive attraction to him. When Lord Henry Wotton discovers his painter-friend's obsession with his newest friend/subject, he simply MUST meet the attractive young fellow. Lord Henry, is after all, a languid pleasure-seeker, always in search of new idleness with which to amuse himself. Like Adam and Eve eating forbidden fruit, Dorian's encounter with Lord Henry leaves him with a sudden deadly new knowledge. His eyes were now opened to his own beauty, and with it, to the terrible truth of the fleetingness of beauty and the subsequent loss of the privileges that come with it. Looking upon his own beauty, reflected in the just-completed-painting, Dorian has a sudden terrible thought. This picture would stay young and he would age! He exclaims in his dismay "If it were only the other way! If it were I who was to be always young, and the picture that was to grow old! For that--for that--I would give everything! Yes, there is nothing in the whole world I would not give! I would give my soul for that!" What is it that fascinates me with this tale? Is it the epigrams, the absolutely ridiculous statements that Wilde is so famous for? Is it just the reminder of Ravi Zaccharias's retelling of the story? Or maybe it is the universality of Dorian Gray's predicament. The forever longing that we could somehow milk all of life's pleasures without knowing its sorrows. The desire to live forever but never age a day. The wish that we could make choices without thought to the consequences--without ever having to bear the consequences. To be autonomous, free to do whatever we will. If we just lock the picture in a closed room, never let it see the light of day. If we live as functional atheists, aware of the existence of the tarnished image, but ignoring its presence. Then we can do as we will, then we can search out pleasure in all its forms. We can repeat Solomon's quest, chasing after pleasure and wisdom and wealth and folly. It strikes me that Dorian Gray finds himself, at the end, aware of his shame--but that he ascribes his shame not to his actions but to his oath. If he hadn't kept his beauty, hadn't kept his youth, he would surely have been better-would have been forced to be good as the awful consequences of his sin began to take their place on his face. He wills to be better, to begin a new life. He contemplates confession and discards the idea. No one would believe him, the picture was the only evidence of his sin. That was the problem. Not his actions. Not his oath. It was the picture, acting like a conscience, worrying him with awareness of his sins. He leaps towards the portrait, brandishing a knife, not knowing that in killing his conscience, he was killing his own self. "For the wrath of God is revealed from heaven against all ungodliness and unrighteousness of men, who by their unrighteousness suppress the truth....they became futile in their thinking, and their foolish hearts were darkened. Claiming to be wise, they became fools, and exchanged the glory of the immortal God for images resembling mortal man and birds and animals and creeping things. For this reason God gave them up to dishonorable passions. For their women exchanged natural relations for those that are contrary to nature; and the men likewise gave up natural relations with women and were consumed with passion for one another, men committing shameless acts with men and receiving in themselves the due penalty for their error." I am Dorian Gray. In unrighteousness, I suppress the truth. I hide the portrait in a dark room so no one can see. I claim wisdom and walk foolishly. Were it not for the mercy of God, I would be Dorian Gray, receiving in myself due penalty for my error. For my impulse is to blame everyone else for my sinfulness once my sinfulness is exposed. My impulse is to grab hold of the knife and to slash at the twisted image. My impulse is to shake my fist at the portrait and its painter. "It's YOU, God. YOU'RE the problem. YOU'RE the one who made me this way. It's all YOUR fault." I would slash the painting and be destroyed. But God, in His great mercy, wrote a different story for me. What fascinates me about this tale? I think it is that it shows me humanity's fallenness, my own fallenness--which reminds me of God's great grace in redeeming me from Dorian Gray's fate. 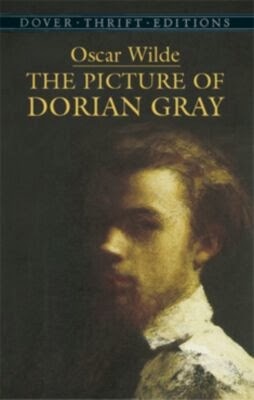 What did you like (or not like) about Dorian Gray? Do you identify with him, or do you feel quite separate from him? What do you think of Wilde's epigrams? Is there any truth at all in what Lord Henry has to say, or are his thoughts entirely worthless? Your turn to share your thoughts! Go for it in the comment section below.